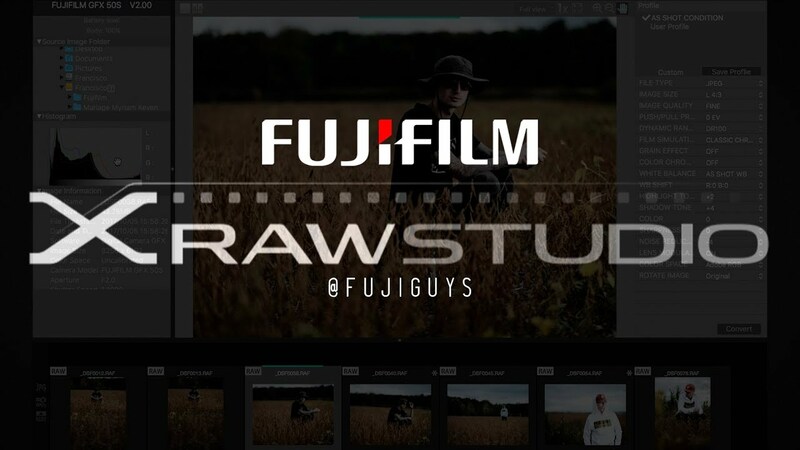 People who use Fujifilm DSLR camera will be able to enjoy some features from Fujifilm X Raw Studio Version 1.0. They will be able to covert RAW files quickly. There is no need to wait for too long for converting process because it will only take about the same time as taking the photo using camera when people want to convert the RAW files with Fujifilm X Raw Studio. No matter what kind of computer they use, the RAW converting will be quick because the system will use the image procession which can be found in the camera. The process will not be done on the computer CPU. The exceptional quality of the image will be retained from the camera. There will be noise reproduction, color reproduction, as well as tonality which will be retained with this system when converting the RAW files. There are some cameras from Fujifilm that are compatible with this system. Fujifilm GFX 50 S version 2.00, Fujifilm X-T2 version 3.00, Fujifilm X-Pro2 version 4.00, and Fujifilm C100F version 2.00. Those are minimum version requirement for X RAW STUDIO compatibility. Mac users can enjoy this system if the OS if Mac OS X 10.10,5, 10.11.6, macOS 10.12.6, or macOS High Sierra. Windows 7 Sp1, 8.1, or 10*2 can also utilize this system. To enjoy the great features for converting RAW files in Fujifilm camera, people need to download and install this system. The download can be done for free. First of all, people need to access the download page from the link below, but they have to make sure that the version is suitable for their OS. For downloading the installer, they only need to follow the download link. The installer can be opened by double clicking the installer icon. After installing the system, they just need to launch it to enjoy the experience. 0 Response to "Fujifilm X Raw Studio Version 1.0 Installer Software Download"